Taylor Swift and Dr Dre exclusives have failed to spark a huge uplift in users. 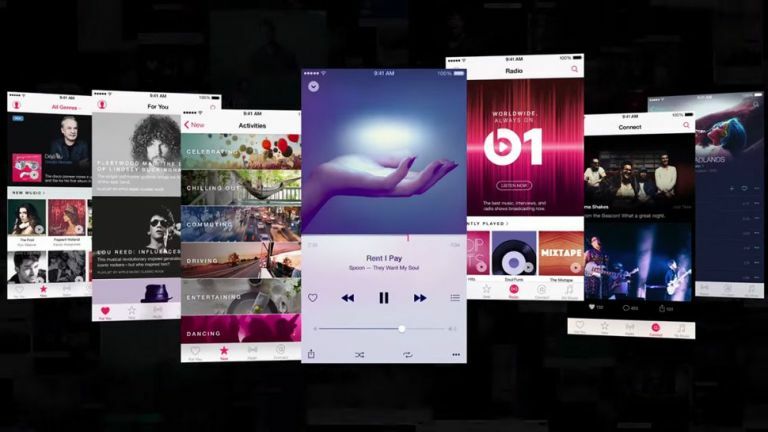 Apple Music is continuing to play into the hands of its critics after it picked up just 11 million subscribers in its opening month. In an interview with USA Today, Apple senior VP of internet software and services Eddy Cue admitted the number and that was about it. He didn't give any indication on how many of those they hope will convert to paid subs when the 90-day free trial runs out. Once the trial is over users have a few different options. It costs £9.99 for an individual user to keep using it, the family membership costs £14.99 for up to six people to share it, and you could of course cancel the membership if the 90 days has been that catastrophic. Its numbers pale into insignificance when compared to the other big players in the music streaming market in Spotify and Pandora. The former has 75 million free users and 20 million Premium subscribers whereas Pandora's free ad-supported service has 79.4 million active users. The best case scenario for Apple Music is that all of the 11 million subscribers continuing paying for the service once the 90-day trial has expired. That would give Apple over half the amount of paying customers that Spotify has. Apple Music was born out of its $3 billion acquisition of Beats and what it does have over Spotify is Taylor Swift's entire collection…and Dr Dre's long-awaited new album, Compton, which is an Apple Music exclusive. If you've never used Spotify before and love Taylor and the Doctor then it's almost nailed on you'll love Apple Music. Otherwise it might be a trifle more difficult for Apple to find more paying customers. Will they pay or will they go?